The insurance brokerage and risk management firm Integro announced today (8/13) that it has completed a merger with Frost Specialty, LLC, a third-generation insurance agency specializing in serving the music industry and located on Music Row. Financial terms of the transaction were not disclosed. From its founding in 1980 as a trailblazer in the Country and Christian music industries, Frost Specialty grew and evolved into an agency insuring some of the most successful touring artists in the world. The firm’s in-depth knowledge of the business of entertainment provides a unique advantage in managing the complex risks of its clients, and in developing exclusive and specialized programs tailored to performing artists, musicians and songwriters. Clients and services include the Country & Christian touring artists program, a group Copyright Infringement program and a Musical Instrument program. The Frost agency also handles the unique personal insurance needs of clients in the entertainment and sports industries. 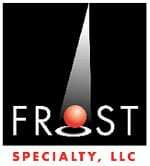 As Integro’s dedicated Entertainment practice, Frost Specialty will continue under the leadership of Robert Frost as president.